Hypno Vol. 1 is a strange one. It takes the ‘dark and edgy’ thing that so often feels forced, then adds a mission-based structure and top-down perspective. After a while it starts to feel a little like Grand Theft Auto. The first one, back in the days before it became a colossal franchise made entirely of ego. Unlike Grand Theft Auto, Hypno doesn’t have colourful visuals or a large world. Instead it opts for black and white minimalism and a compact grid of featureless squares representing a city, relying on its tone and originality to do the heavy lifting. Without giving away plot points, the premise is that you are a bloodthirsty sociopath named Lydia who has just escaped from some sort of institution. Lydia is blind but has the ability to steal the intentions from the minds of people around her and use them to programme behaviour into others. For instance, if she ‘rips’ the intention ‘I’m going to the bar’ from Steve, she can then ‘brand’ it onto Dave and make him go to the bar instead. This is the core mechanic around which the whole game revolves. I’m sure Dave has no complaints. Branding soon becomes more elaborate. You have to start stacking intentions to cause a whole series of actions – make Bob go to the sports shop, buy a baseball bat, go home, use the bat to kill his wife. It’s quite grim yet also strangely compelling. For the first couple of minutes this is all there is to the game, but there are only so many times you can make people kill each other before the novelty wears off. Our pet maniac, Lydia, gets bored of aimless slaughter around the same time we do, and that’s where the missions come in. A mysterious man calling himself Darius asks you to use your powers of hypnosis to carry out criminal jobs for him, all to further his undisclosed agenda. In payment for your services, he tips you off about opportunities for ‘fun’ uses of Lydia’s powers – getting a teenage girl to murder her stalker, or ensuring that a wife is drunk and armed when she discovers her husband’s infidelity. These are basically missions too, though they tend to be more savage and unsettling than the ones that benefit Darius directly. I’m not one to get squeamish or take games too seriously, but there is a voyeuristic tone to these interludes that leaves me slightly uneasy. The odd thing about all this carnage is that as Hypno progresses it increasingly comes to resemble a puzzle game. The missions cease to be menial ‘walk over here and brand this person with this intention’ tasks, and instead become more about finding ways around various restrictions that are imposed on Lydia. This is where the game comes into its own, and at the same time starts to fall apart. You’ll often find that areas of the map are walled off; civilians can wander in and out, but Lydia can’t. These walled off regions are usually patrolled by guards who can recognise ‘the branded’ – someone you’ve reprogrammed – and will kill them on sight. It’s never made entirely clear how this happens. Presumably the branded all cluck like chickens and clutch Paul McKenna plushies as they go about their nefarious business. To get around this inexplicable problem, you have to brand someone to sneakily climb a building for a spot of rooftop surveillance on the guards. Once your spy finds out that, say, one of the guards is a sleazy old lothario, then you can send one branded to intercept and distract him by flirting, while another branded sneaks up and kills him. It doesn’t seem to matter who you send to do the flirting; evidently the developer of Hypno considers everyone in the world to be omnisexual and have no standards. Maybe the whole game is secretly a statement of sexual politics and we should send a copy to the government with signatures attached. Add into the mix people who can’t be branded, a drug that reduces the number of people you can brand during a given mission and other obstructive factors, and Hypno’s missions start to test the brain a bit. With some experimentation, practice in branding the right people as quickly as possible and a little bit of luck, you can make each mission unfold just as planned and domino its way to a satisfying conclusion. That might sound enticing, but there’s a down side to all this. Your instructions from Darius are often quite vague, and frequently leave gaps that can have you scratching your head for a while, not because the puzzle is intricate but because the game doesn’t explain what’s happening, or in some cases even what the objective is. Like many mission based games, additional tasks are introduced part way through many of the missions, but sometimes you will simply be pointed towards targets and not given a clear idea of whether you’re meant to kill them or brand them, or something else entirely. Being given a challenging puzzle is fine, but when the challenge comes from poor explanation of the requirements, it becomes a serious drawback in enjoying the game. 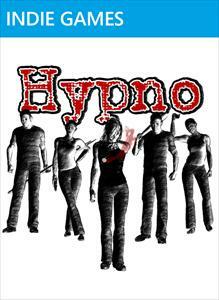 It’s tough to decide on whether to give Hypno Vol. 1 a recommendation or not. It’s certainly different to any other game I’ve played on Xbox Live Indie Games, or anywhere else for that matter. The problem is that it expends its effort in the wrong places. 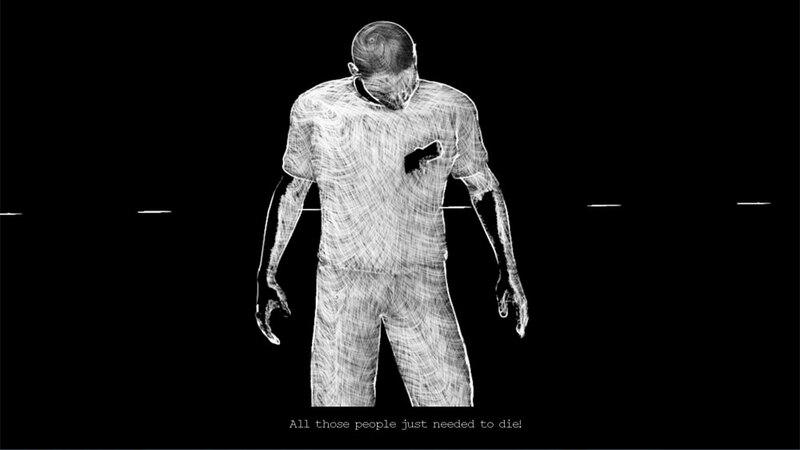 The game goes all out to make itself shocking and brutal, and it has a good try at being unique, but it’s so busy with all this that it forgets to have a coherent structure – and in doing so it obstructs the player one too many times. If the idea intrigues you and you have the patience of a Spelunky player, give it a try. If the gratuitous grisliness and the aimless wandering guesswork of some missions don’t sound like your cup of tea, don’t bother. A title like 10 Amazingly Awful Games Volume 2 has to be a marketing ploy. I never played the original 10 Amazingly Awful Games because I had enough faith in its self-assessment to save my time, but I’ve heard that they weren’t actually bad. On that flimsy basis, I thought it was worth taking a chance on the sequel, Volume 2. The game’s developer said recently that his aim was to parody old low-grade game collections such as the infamous Action 52. I’ll admit I was a little curious as to whether this worked as a parody or merely retrod the same ill-advised path. As it turned out, the contents of 10 Amazingly Awful Games Volume 2 were quite variable in quality. In the interests of clarity and satisfying my neurotic leanings, here is a blow-by-blow account of what I found lurking within. Buckle up; it’s a rollercoaster ride. One of those rickety old rollercoasters that you find in dilapidated, windswept coastal resorts that are decades past their prime. Blobby Blobby is a very basic one-hit-death platformer with clumsy controls, unclear hit detection and bursts of unreasonable difficulty that seem to be designed to catch you out. Platformers live or die by their controls, and Blobby Blobby controls like trying to balance a blancmange on a tennis ball. Fruit Defender has you pressing the face buttons to pop fruit that approaches from the corresponding four directions. It’s executed perfectly soundly but feels depressingly pointless. There’s just no incentive to keep going. Grid Warrior is basically a monochrome Space Invaders. 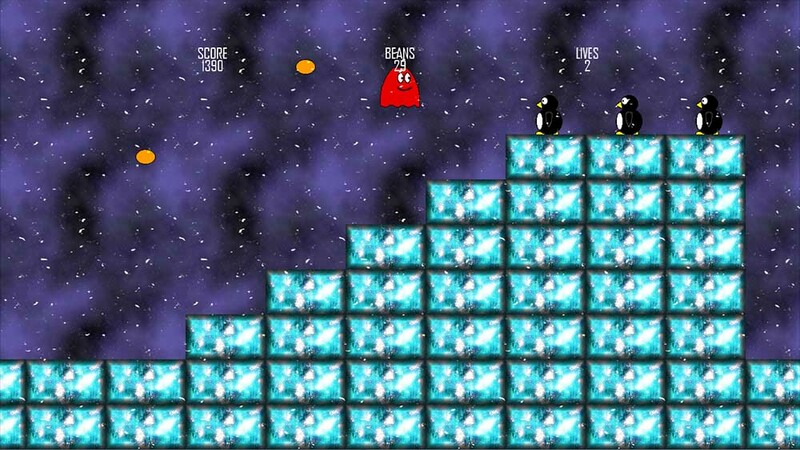 A few negligible additions, such as enemy turrets at the sides and the ability to move up and down the screen, fail to enhance the experience. 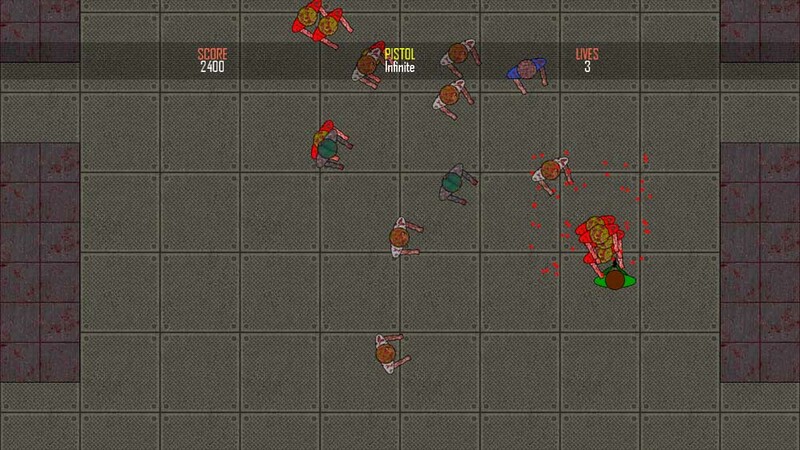 I Madez a Clone Wiv Zombies Innit is one of the better offerings in this package. It’s a vertically scrolling twin-stick shooter with a few weapon pick-ups. Its title parody of I MAED A GAM3 W1TH Z0MBIES 1N IT!! !1 gave me a chuckle but after that the experience went downhill. It functions adequately, and when I was seven years old this would have seemed like the best game ever. If you’ve ever played a twin-stick shooter before, though, this low-rent, entry-level attempt will just remind you that you could be playing better versions. As a rule, a game that parodies another game has to be either at least as good as the original, or amusing enough to compensate. The gameplay here is very basic at best, and the only humour to be found is in the title. The eye-scouringly horrible visuals don’t help, with primary school character sprites and backgrounds that look like the contents of a dinosaur’s stomach. Lame Defenders 2 is a side-scrolling space shooter. You shoot things. It’s more challenging than it seems and, like the zombie/clone game above, could be fun for a child who’s never played anything like it. I had flashbacks to my dad’s Atari 2600, in gameplay style if not in aesthetic. It’s still sinfully ugly though, and your spacecraft moves woodenly enough that it can be needlessly frustrating to manoeuvre. 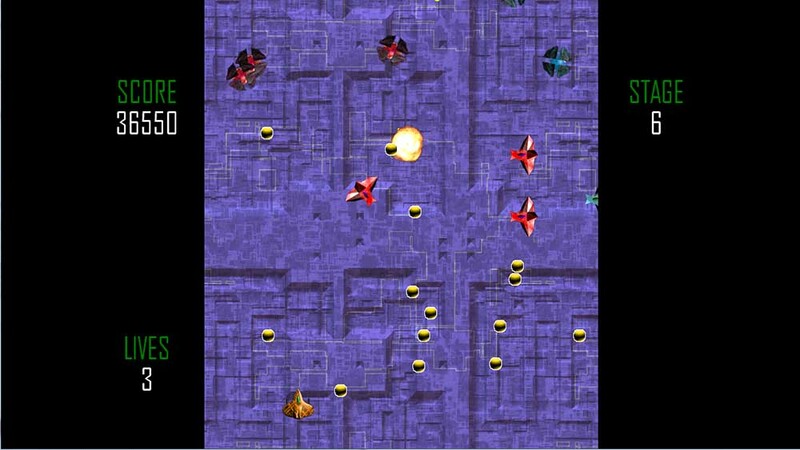 Nastyroids is the classic Asteroids with weapon power-ups, a larger arena and occasional targets that fight back. If you’re someone who still longs to play Asteroids, you might enjoy this. I never really liked Asteroids that much, but this take on the formula does the job perfectly well. It gave me some simple fun for a little while. The expanded arena helps the classic clunky control scheme (rotate your ship with the left stick, then propel it forward with the right trigger) feel less frustrating, and its basic visuals are an upgrade over the wireframe graphics of its predecessor. Probably the best of the whole batch, by virtue of being a decent enough example of its type. Seeker is a 2D explorer/shooter. I don’t know if it’s based on an old template like many of the other games here, but the game it reminds me of most is the dreadful Bit Crunch. Fortunately Seeker isn’t that bad. You roam around a randomly generated maze of rooms, dodging obstacles and shooting enemies, looking for keycards and the route to a computer that must be destroyed. Your health (or ‘power’ here) depletes over time as well as when you take hits, so the pressure is on. Seeker actually has some potential to be fun. If it wasn’t for a couple of glaring problems, it could be something I’d choose to play, at least for a little while. Firstly, it’s very easy to get stuck on corners. When leaving a room, I got stuck more often than I didn’t, particularly if I was hastily fleeing a group of enemies. Secondly, you can only shoot left or right, despite the manifest need to at least add up and down to the range of fire. It’s infuriating losing valuable points from my power meter just because an enemy approached from above and I had to manoeuvre across the entire room to be in a position to open fire. I think the lesson here is that the developer should give up on making batches of ten lazy, poorly designed games and focus on making one decent game. If he’d devoted the effort from the other nine games in this collection solely to Seeker, it might have been worth playing. Stormwheel is a driving/shooting hybrid that reminds me very much of Action Fighter on the Sega Master System. 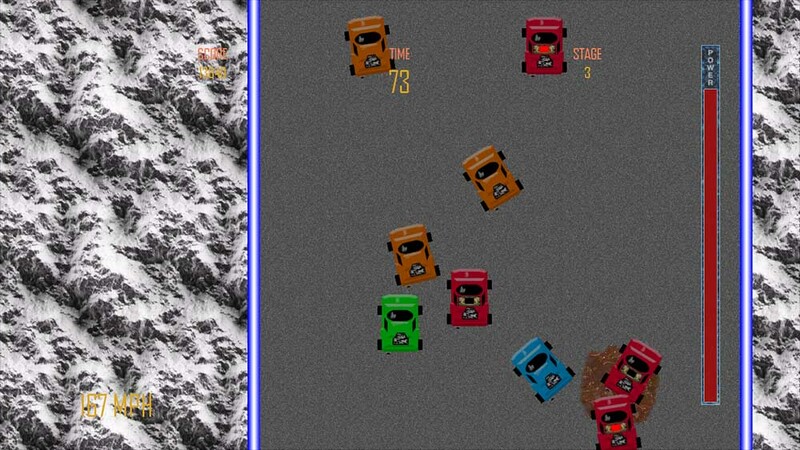 The objective is to get to the finish line within the time limit while dodging hazards, shooting other cars and making blind jumps that require trial and error. As an Action Fighter clone, it’s fine. It does pretty much what that game did. The problem is that Action Fighter wasn’t much fun 25 years ago, and age hasn’t improved it. It isn’t offensively terrible but there’s really no reason to play it. It’s just not a fun way to spend your free time. Terror Tunnel is a watered down Missile Command. Use a reticle to direct your fire against falling stuff. Hold the right trigger and move the left stick around. At one point I realised I was daydreaming about walking to the supermarket to buy lunch, but still successfully playing the game. Skip it like a flat rock on a tepid sea. Viper Wing is a vertically scrolling space shooter. Hold the right trigger while weaving around. So bland that even its own description of itself uses the word ‘generic’. Presumably that’s a chortling display of the art of high parody but, as I said about I Cloned a Clone with Clones In It above, a parody still has to be a good game if you expect anyone to play it, or else be funny enough that people will forgive the mediocre gameplay. Going ‘ho ho, my game is intentionally generic’ at the beginning doesn’t qualify. All in all, 10 Amazingly Awful Games Volume 2 neither follows through on the grim threat of its title, nor really works as a fun parody. A couple of the games within are simple fun for brief periods, but there’s nothing here that can’t be found better elsewhere, usually very cheap. Admittedly you’re effectively paying a measly 8 Microsoft points for each game in the collection, but that doesn’t make it right. I wouldn’t forgo my lunchtime BLT in favour of munching down on eight boxes of toothpicks just because the price is the same, and you shouldn’t be tempted to buy ten games that occasionally manage to reach up and tug at the ankles of mediocrity. If you want all these games, it’s worth paying ten times the price for ten better versions. 10 Amazingly Awful Games Volume 2 isn’t amazingly, astonishingly, tourist-enticingly hideous. It’s just bad. I’d take one competent game over ten half-hearted ones any day. There have been a few interesting Sim City­-inflected hybrid games, combining city-building elements with parts of other games. In recent months, Lexiv spliced Sim City and Scrabble to surprisingly enjoyable effect. 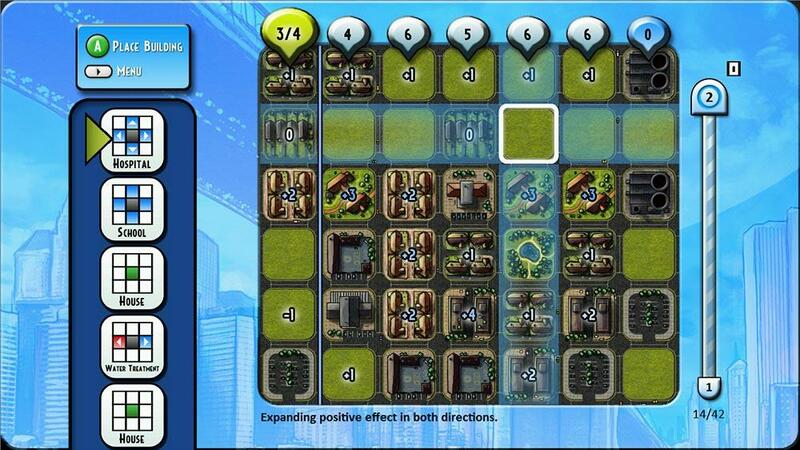 Prior to that, City Rain and Megalopolis offered puzzler gameplay with some city/landscape management flourishes. Now we have MegaCity. 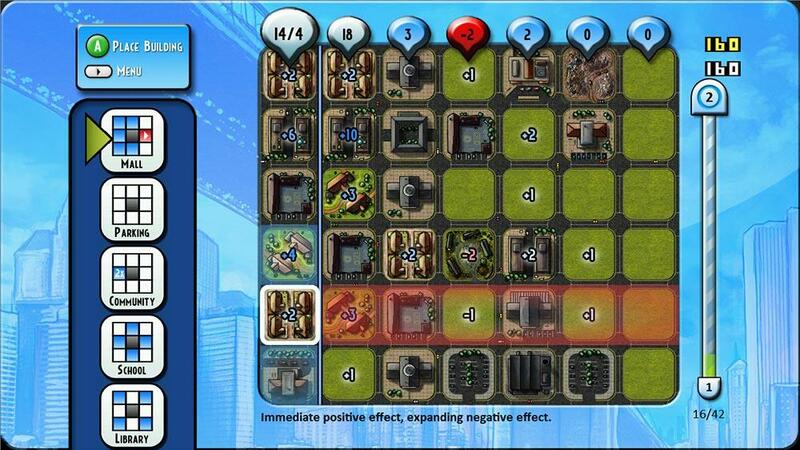 Like the other games I’ve mentioned, MegaCity is more a puzzle game than a sim. You are presented with a grid of empty grass squares in which to place buildings. 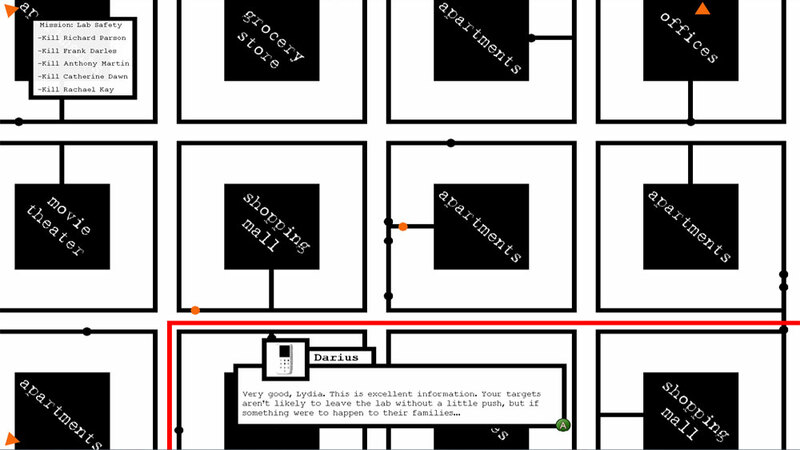 You can’t choose your buildings; they’re queued up in a randomly assigned order to the left of the screen. Each game starts with five houses at the top of the queue, but after that it’s anyone’s guess. 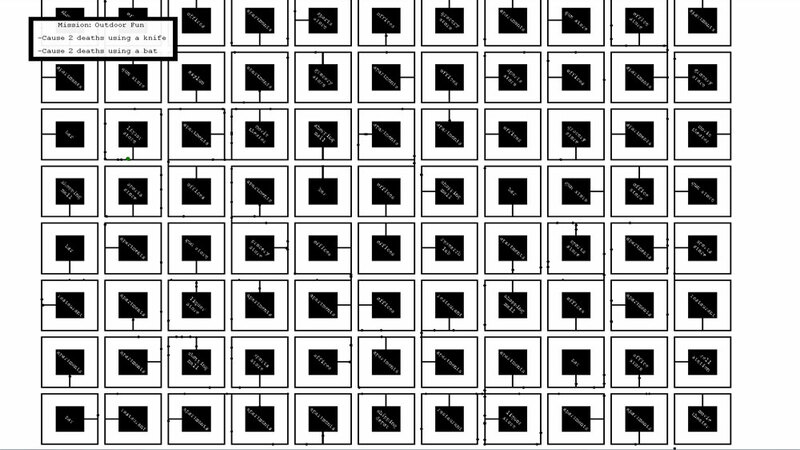 The idea is to gain a certain number of points along the leftmost edge of the grid. In the first few minutes the target will be four points, but this increases as you progress. When you reach the target number of points, that column will slide off the screen and a new one will appear to the right. This is how you gain more space to build and avoid filling up the grid – which would be game over. The key buildings are the residential ones – houses and apartments – as only these can generate the points you need. They can’t do it alone, though. Other types of buildings have effects on the spaces around themselves, causing any residential tiles to either generate or lose points. Some buildings, like landfills, only have negative effects and have to be kept out of the way. Some, like hospitals, have only good effects. Others have bits of both. Each building has its own pattern for the effect it has around it. This probably sounds very confusing, but once you sit and play it, it’s quite simple. Like many puzzle games, simple doesn’t mean easy. The queue of randomly selected buildings reminds me of Tetris and, like Tetris, the luck of the draw can ruin your game. Many times I’ve had a pretty good run, then found myself drawing nothing but landfills and factories from the queue when all I want is a single house. And that’s that: game over. Blue = good effects, red = bad effects. Colour coded for kiddies of all ages, or something. Aside from this main mode, where the main aim seems to be to get a high score, there are also challenge modes. I haven’t managed to pass even the easiest one, but they at least mix up the gameplay. The challenge modes place certain buildings on the grid before you start, and always give you the same tiles in the same order. It’s not entirely clear what the aim is though, and the game itself doesn’t tell you. These modes certainly add variety, but it’s hard to enjoy them when you don’t know what you’re meant to be aiming for. 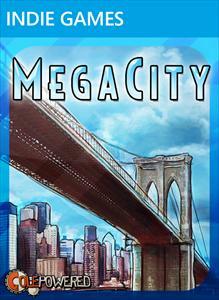 I recommend MegaCity, but not without reservation. It’s very much a puzzle game rather than a city management game, though it does have some SimCity touches in the way buildings affect each other. It’s easy to learn and addictive, but the main mode gets repetitive after a while, particularly when you have to keep restarting because you happened to draw some bad buildings. The challenge modes could alleviate that, but instead they’re just confusing. Not a game that will keep you playing for weeks, but a lot of fun for a little while, and there’s nothing else quite like it. Well worth 80 Microsoft points – just don’t expect perfection.